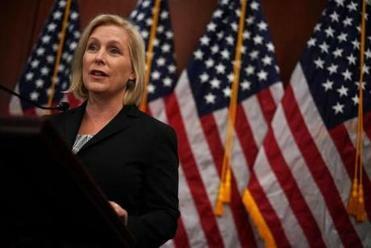 Senator Kirsten Gillibrand attended a news conference Tuesday on Capitol Hill. Senator Elizabeth Warren jumped to the defense of her Senate colleague on Tuesday morning after President Donald Trump said that Senator Kirsten Gillibrand would “do anything” for campaign contributions. The Massachusetts senator joined a chorus of voices who condemned Trump’s suggestive tweet made in response to Gillibrand’s call for him to resign over sexual misconduct allegations. Lightweight Senator Kirsten Gillibrand, a total flunky for Chuck Schumer and someone who would come to my office ?begging? for campaign contributions not so long ago (and would do anything for them), is now in the ring fighting against Trump. Very disloyal to Bill & Crooked-USED! Gillibrand called Trump’s tweet a “sexist smear” and said she would continue speaking out. 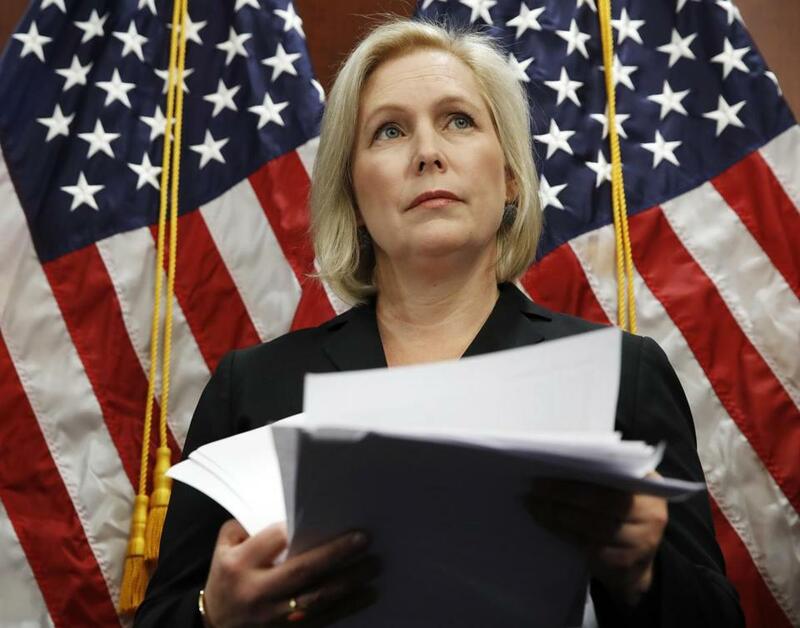 “I will not be silenced on this issue, neither will the women who stood up to the president yesterday, and neither will the millions of women who have been marching since the women’s march,” Gillibrand told reporters Tuesday. She is on the long list of Democratic rising stars who are viewed as possible candidates for president. Trump has a history of viciously attacking women who criticize him, often in highly personal terms. Over the summer, he said that MSNBC host Mika Brzezinski was “bleeding badly from a face lift” when he saw her at a party.